With the squeeze on construction spends in all sectors resonating right through the supply chain, innovation and supply chain management are the key to keeping our products accessible. It will be familiar to any fit-out contractor or subcontractor – when there’s any overspend early in a project, it’s often the fittings and furniture that suffer from budget cuts. Compromises start to be made on the quality, durability and finish of interiors – items which are often pivotal to a customer’s experience of a building. With 45 years in the construction industry, Audience Systems have experienced this many times, and we are tackling it upfront by using innovation, value engineering and supply chain management to deliver high quality products and uncompromised service to a price-conscious market. For example, we've launched Optima, a value-engineered upholstered chair which offers their customers all the core benefits they are looking for in terms of comfort, build quality and ease of operation, at a lower price point. Optima also offers outstanding space-efficiency for those for whom space is as tight as their budget. Streamlining product offering, re-negotiating supply contracts and considering new materials are all part of our R&D effort too. 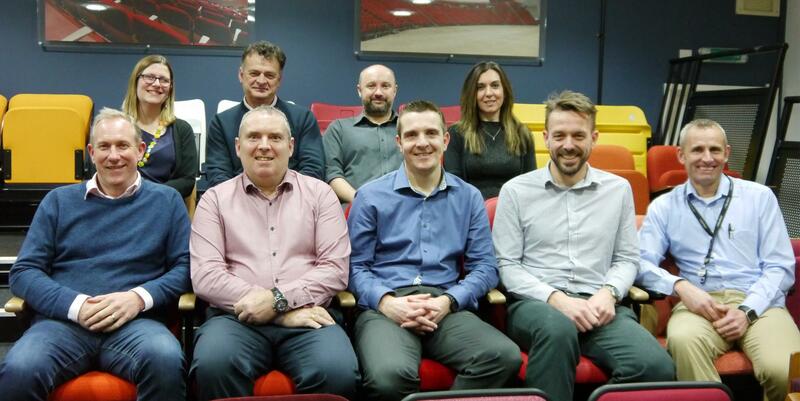 Photo shows our cross-disciplinary Research and Development team, drawn from engineering, value engineering, purchasing, operations, sales and marketing. The team was brought together to keep R&D as a central focus with our business. Top row: Nina Parmenter (Group Marketing & PR Manager), Keith Ritson (Managing Director), Gary Saffhill (R&D Engineer), Crystelle Martin (Strategic Purchasing Manager). Bottom row: Gary Pillinger (Sales Director), Colin Stainer (Value Engineering Manager), Nick See (Engineering Manager), Steve Smith (Senior R&D Engineer), Paul Rigby (Director of Operations).